Parlay bet, also known as accumulator bets, refers to the system of betting in which a single bet is placed with more than one individual bet linked to it. Parlay bets depend on all the wagers placed in order to win, if a single bet goes astray, then the whole bet gets destroyed. The good thing about parlay bets is that they increase your odds and payoffs as you place more bets. The two basic types of parlays involve the use of money line to wager and wagering against the point spread. The payoff for point spread parlay bets is fixed while the payoffs for the money line parlays are dictated by the odds of every team. These parlays are more similar though with some differences noted in different sportsbooks. As you can see, when you calculate your parlay odds, there is a greater chance of winning a lot of money from a small bet. This is the main reason why most sports bettors are fond of parlays. 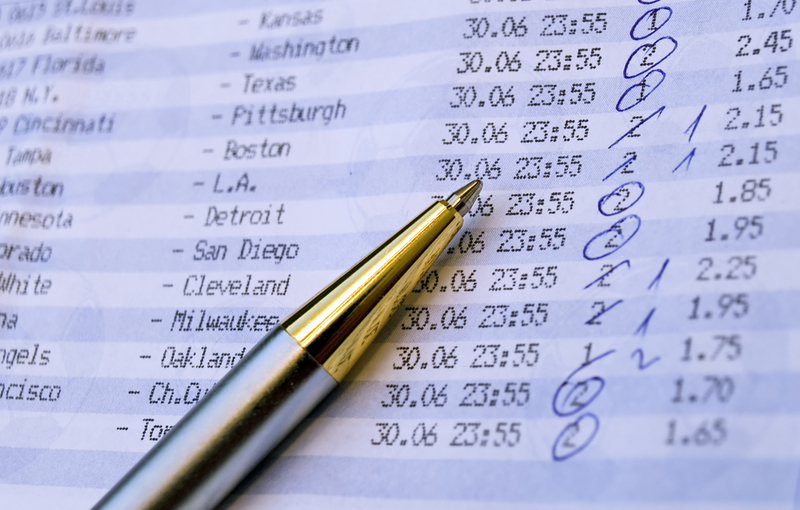 When it comes to money line parlay, the odds correspond to the odds of individual pick within the parlay. You can generally note that money line parlay bets usually take the amount of a bet and places all the money on a single team. If the team wins, the bet amount for the next team is recalculated hence putting the whole wager on that team. When playing a wide range of underdogs, your odds will shoot up while the odds will be lower if you choose big favourites. However, playing money line parlays is not such a good idea for people who take sports betting seriously since they have got extremely high risks. Let’s say you do not have enough money for direct bettings in single games, a parlay bet can come to your rescue and allow you to bet on multiple games at a go. This is very useful if your bankroll is limited. Another good thing with Parlay bets is that bettors have the opportunity to make small bets that have greater possibilities for big winning. On the contrary, parlay betting has got downsides with the main one being that they do not offer true odds. This is true because the payoff odds are usually way less than the real odds especially when it comes to parlays associated with point spreads or totals. As you make parlay bets, it would be important if you noted some important tips that could refine your chances of winning more. One of them involves betting on fewer teams and raising your bets. If you have to bet on more teams, it would be necessary to split your parlays into numerous smaller parlay bets. The odds would seem to be low, but the win rate is reasonable. Splitting the parlay and increasing the bet size enables you to compensate for the lower odds hence improving your chances of winning. Another tip which is related to the way you calculate your parlay payouts involves protecting your bets. Take, for example, a 5 team parlay which is 4-0 heading into the fifth game stands you a chance to win a $1000 on a $50 wager. Losing the fifth game earns you zero, therefore, to warrant yourself a win, you can place a direct bet for $525 to the team contradicting your parlay pick. This move guarantees you at least a $425 win despite the outcome of the fifth game. This means that when your parlay wins, you get $1000 which translates to a $950 profit from the $50 bet less $525 of the side bet for a sure win of $425. If you lose your parlay, it takes away $50 but makes a $477 profit from the $525 side bet for a sure $427 profit. In case there is a tie, different sportsbooks provide their rules to break the tie so you have to check up on this. For example, some will take away a team from the parlay taking it down by one level while some sportsbooks treat the tie as a loss.